The recommendations came pouring in, but two umbrellas in particular threw shade over the rest in this week’s Co-Op. The Blunt Metro and the Repel Windproof Travel Umbrella are this week’s finalists, so check out what our readers had to say below, then be sure to vote for your pick. Rather than pokey metal, the ends of Blunt umbrellas’ spokes are, well, blunt. That makes them less likely to put an eye out, and also helps spread wind forces over a wider area of the umbrella. In fact, the Blunt Metro can withstand winds of up to 55 mph, and larger Blunt models can stand up to even stiffer breezes. The Wirecutter-recommended Repel travel umbrella is cheaper than the Blunt, and its teflon-coated fabric shakes dry nearly instantly. 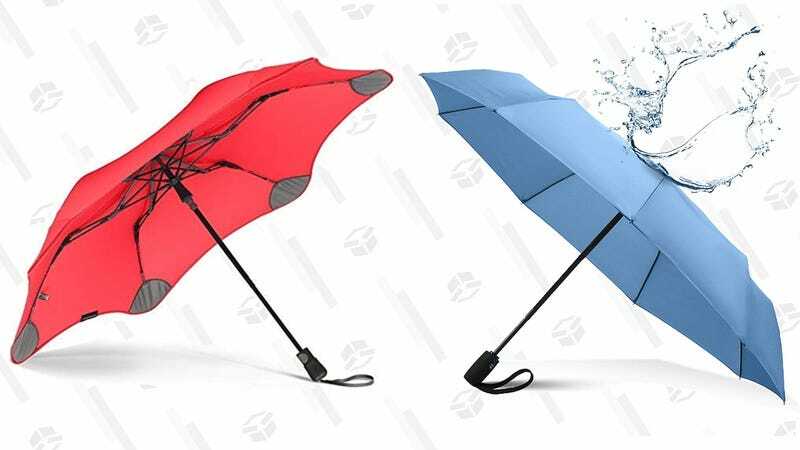 Even at around $24, it comes with a lifetime warranty, which you definitely can’t say about the cheap umbrellas you keep buying from the pharmacy every time you get caught in the rain. 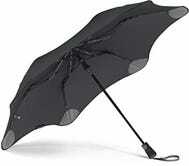 My favorite of all time is the Repel Windproof Travel Umbrella with Teflon Coating.